Bokhari: How Many Other Establishment Conservatives Are Funded by Google? 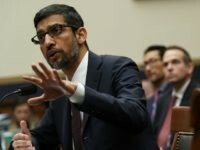 In answers to written congressional questions released recently, Google CEO Sundar Pichai confirmed that his company gave money to the National Review Institute, the policy arm of establishment conservative magazine National Review. WASHINGTON, DC – The thousands-strong migrant caravan still growing as it marches towards the United States’ southern border could generate a political force inside the U.S. that will impact the upcoming congressional elections, experts said Tuesday at an event hosted by the American Enterprise Institute (AEI). 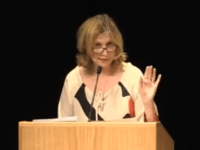 Students at Lewis & Clark Law School in Portland, Oregon, are calling for the cancellation of a Monday event featuring American Enterprise Institute Scholar Christina Hoff Sommers. 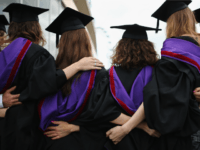 The “victimhood narrative” taught in schools fuels anxiety in young girls, says Dr. Joanna Williams, a lecturer at the University of Kent. 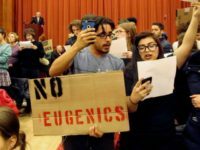 An angry mob of protesters injured a professor after derailing an event at Middlebury College last week featuring American Enterprise Institute scholar Charles Murray. 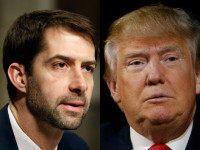 Sen. Tom Cotton (R-AR) this week ripped into critics of President Donald Trump who predicted a world of “chaos” under the new administration, and defended his muscular foreign policy stance. 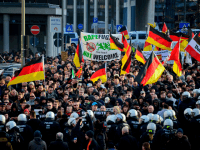 From Alabama to Denmark, Nevada to the Netherlands, and from Arizona to Sweden and Germany, Hungary and Poland, voters are flocking to right/left populist, nationalist, isolationist, and nativist demagogues, parties, and movements.